PowerShell is a task-based command-line shell and scripting language built on .NET. 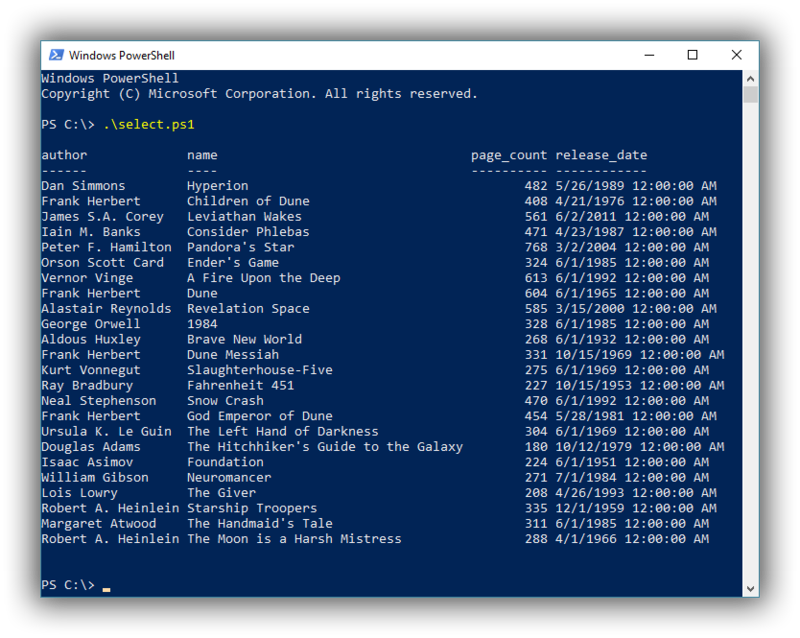 PowerShell is available on all recent Windows Desktop OSes. It also has embedded ODBC support, thus offering a quick and accessible way to connect to Elasticsearch. $sql = "SELECT * FROM library"